Virtua Fighter 4 © 2001 Sega. 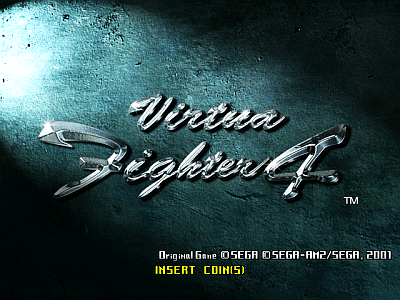 Virtua Fighter is back after the silence of 4 long years! Released in August 2001, the game was presented at the February 2001 AOU (Arcade Operators Union) show in Japan. AM2 Mix released a limited-edition soundtrack album for this game (Virtua Fighter 4 Sound Tracks - AMMX-2001) on 06/02/2002. 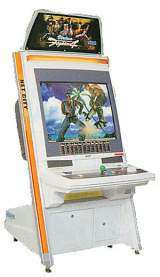 This game launched the 'VF.Net' service that is an arcade network standard. This service was the base for the 'ALL.Net' service created by Sega, Sammy and Namco in 2004. * Different costumes : Hold Start and then select your character with any button. 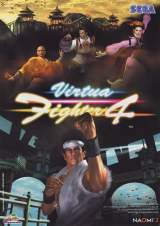 Sony PlayStation 2 (Jan. 31, 2002) "Virtua Fighter 4 [Model SLPM-62130]"